Forest springs is a newer community that started construction in 2011. It's conveniently located with access off 55 with a road through our new shopping center and another entrance on Old Holly Springs road. 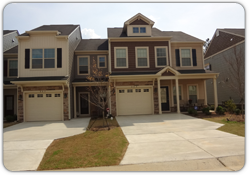 Royal Oak builders featured 1 and 2 story floor plans. that range from the 1,500 s.f ranch- Holly Plan, to the two-story 3,300 sf Rivera. The development featured 12 different floor plans. 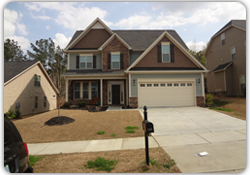 Forest Springs is one of the most affordable newer subdivisions in Holly Springs. Forest Springs has a facebook page if you would like more information. If you have children and schools are important to you, make sure to check out our Holly Springs School page. If you know the property that you're interested in buying, you can click on the base school assignment to see what schools have been assigned to the address.